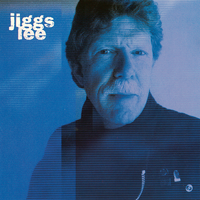 The debut solo album by Cain front man Jiggs Lee delivers the intense, mind-blowing vocals that Cain fans have long appreciated. Twenty years removed from Cain's heyday, Jiggs can still bring the power, but age reveals a more dynamic and refined vocal performer. Cain fans will not be disappointed. CD price includes shipping. Please allow 1-4 weeks for delivery, depending on your location. Digital downloads may not be available immediately after purchase. Please allow up to eight hours for availability.